Step 1: Choose your beads. I just love these 8mm River Stone beads. 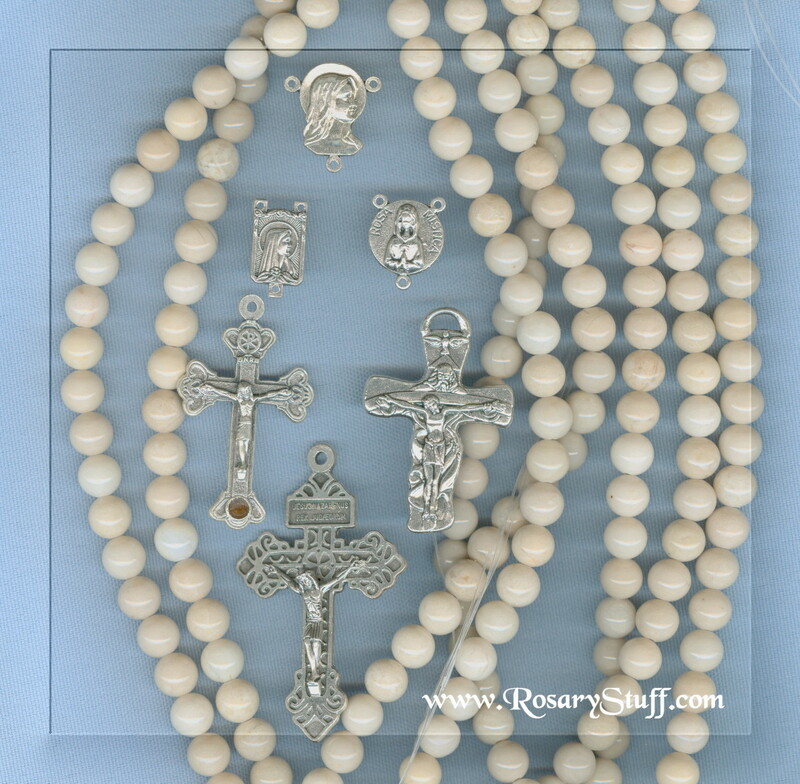 They would make a great rosary because of the slight color variations through out the strings. The colors are a light tan or ivory color and are actually a touch darker than shown here (The light from the scanner is what makes them look lighter in color than they really are). Would you like to use a different bead for the Paters? Click here to see what's available.